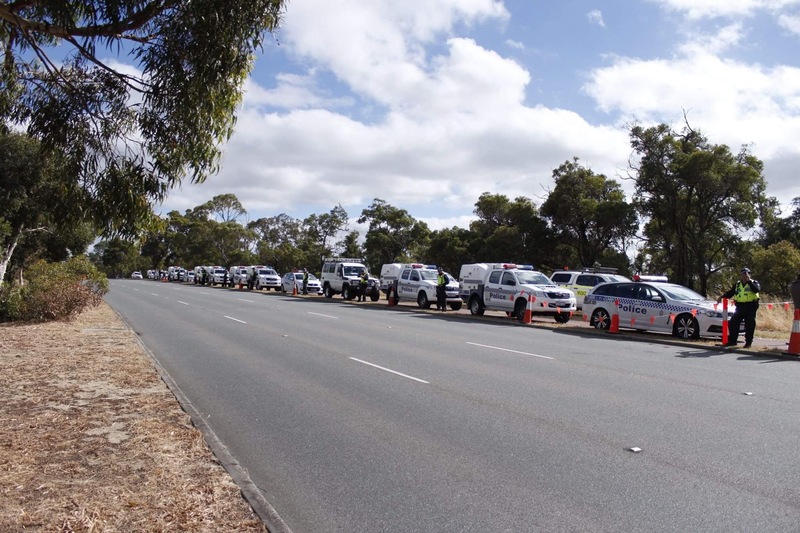 This photo shows the Barnett government’s orders for police presence at the Beeliar Protest this morning. Here’s the first poem I wrote on day one of the protest – 8 Dec 2016. It is not a great poem by any means but I wrote it while standing on the barricades and felt the need to write right there and then. You may have never protested before. To stand in the way of the Roe 8 highway feels wrong. To take a day off work to hold a banner feels wrong. You’ll be called a bum. They’ll say you’re unemployed, have nothing better to do. The ‘mainstream’ will tell you the ‘development’ is going ahead, the ‘plans’ have been in the ‘works’ for years, that clearing native bushland is necessary for ‘progress’, that the correct environmental protection measures have been taken, don’t worry friend. But they don’t follow their own guidelines, they say the native animals will be trapped and moved to other areas, yet we know few animals survive. On Northlake Road the fencing contractors are asked to turn their music off, the police can’t hear their intercom. The police apply suncream and help the fencing contractors move traffic cones. The police ask one another if they are right for water and say we could be here all summer. How does a woman, shifting from one foot to another, become a police force? How does a few scribbles on a napkin become an environmental disaster? In the shade of a flame tree the protesters hold banners and car horns beep and a pair of pink and grey galahs fly overhead. When my parents were my age if a ‘development’ was taking place, there was no temporary fencing, portaloos were not delivered to site and the Cold War delivered renewed apathy. When my parents were my age protesting was not illegal and developers need not chop down trees in the dead of night. I grew up where the damage had already been done; the river dredged, three billion year old wetlands filled with yellow sand.